Beck Electric and Data Services, Inc.
Our goal is to connect people with the best local experts. We scored electricians on more than 25 variables across five categories, and analysed the results to give you a hand-picked list of the best electricians in San Diego, CA. Amcro Electric employs licensed San Diego electricians with 30 years of experience primarily serving the north and south counties. However, Amcro promises to give estimates anywhere in California. Services for residential and commercial customers include rewires, remodels, repairs, indoor lighting, outdoor lighting, and meter upgrades. It specializing in installing lighting and electrical technology that will reduce energy costs. Amp Solar Electric Inc. in the San Diego area employ electricians, engineers and construction professionals to ensure all residential, commercial and industrial client’s needs are addressed. The company’s special focus area is solar power technology but they’re also available for construction, lighting and wiring electrical work. Amped Electric’s owner is a licensed electrician and general builder with a separate license as a journeyman electrician from the Department of Industrial Relations. His company serves the majority of greater San Diego. Amped has more than a decade of experience serving residences, industrial complexes, and commercial properties. It specializes in installing and repairing electric vehicle charging stations. Martin Beck, founder of Beck Electric & Data Services, Inc, has been working in the San Diego area since 2000. The company provides standard electrical services and repairs, but specializes in a variety of connections and wirings. It installs data and voice cabling and repairs. Beck Electric is a Better Business Bureau-accredited company. Brilliant Electric is an independently owned electrician firm that’s served San Diego since 1998—from south of the 78 down to the state border. Its electricians address repairs as well as new construction wiring and existing home rewiring. The company is available for residential and commercial jobs. Brilliant Electric promises cutting edge work, but classic and professional values when conducting business. CLD Electric serves residents or property managers of single or multi-family homes in San Diego and the surrounding areas. Its electricians have twenty years of experience with emergency repairs and new projects. CLD is confident enough in its services to offer lifetime guarantees on all of its work. Custom Electric SD has 15 years of experience serving San Diego county. These professionals tackle large and small jobs for both residential and commercial customers. Custom Electric can trouble shoot and execute minor repairs. It can installation lighting, switches and ceiling fans. The company can also perform full-scale panel upgrades. Its custom lighting designs and installations is the Custom Electrics most specialized area of expertise. DC Electric has operated as a San Diego electrical contractor for over 19 years serving commercial, residential and industrial clients. Its electrical, repair and installations services include wiring, code corrections, and new construction. One hour emergency service is available. DC Electric also installs electric car chargers. The company is proud of its repeat business, customer referrals and A+ grade from the Better Business Bureau. Devil Dog Electric is a single-person company founded in 2009 in San Diego. Despite the company’s small size, Devil Dog has experience a variety of electrical projects ranging in size. Its areas of expertise include panel upgrades, re-wires, remodels, new construction, lighting and repairs. Dilloway Electric is a Poway electrician company. Its owner is a San Diego native and licensed contractor. Dilloway values quality over quantity in their projects which ranging from panel work to lighting installations. The company is also available to remedy electrical emergencies and repairs. Full-service San Diego electrical contractor East West Electric serves San Diego County including South Bay, East County and North County. This company, opened in 1990, is available for hire to homeowners, general contractors, property managers, and businesses for work to new construction or existing properties. East West’s A+ Better Business Bureau rating reflects the diagnostic, troubleshooting, repair work, and installation work that it provides. Electrician San Diego has been providing top-notch service and expertise to customers for more than 40 years. Residential and commercial customers can trust the experts at the San Diego-area company to provide a range of services that meet an array of electrical needs. 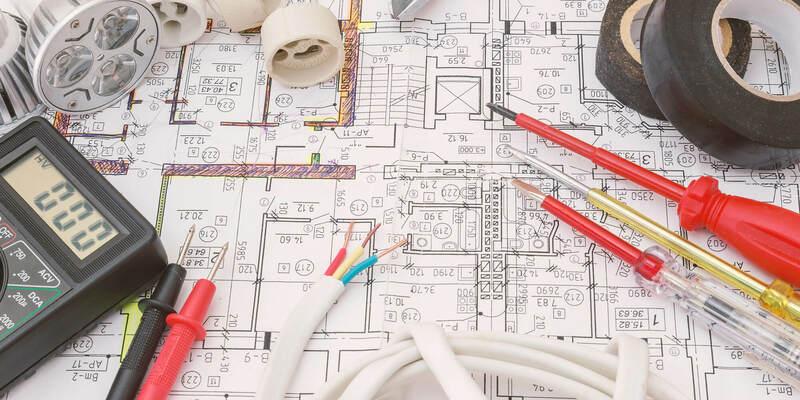 Electrician San Diego makes exceptional quality work a top priority by maintaining the necessary licensure, bonding, and insurance to execute every job in the most efficient and professional manner. The company features a team of electricians with the highest level of expertise, reliability, and integrity. Electrician San Diego specialists have the experience and skill to handle many types of electrical issues including replacement of faulty circuit breakers, repair of code violations, door bell system repairs, and much more. The company performs same day services and provides emergency responsiveness that exceeds customer expectations. Knutson Electric’s San Diego electricians can tackle large or small jobs—from system re-installations and new construction to doorbell repairs—for residential and commercial customers. The company also specializes in low-voltage, energy-efficient lighting technology, including LED landscape lighting. It currently holds an A+ rating from the Better Business Bureau. Kristan Electric in San Diego strives to provide as wide a of a range of electrical, wiring and lighting services as possible to commercial and residential clients. Kristan will work with new construction and remodels as well as existing structures. Speciality areas of service include architectural lighting design, data network installations, and home automation. San Diego’s Mission Electric Services takes pride in its 24-hour service from homes and commercial properties throughout the entire county. Its licensed and insured electricians are skilled in remodels, new construction, and existing structures. Mission Electric is also available for repairs and troubleshooting. They offer a lifetime guarantee on all work. Northern Lighting And Electric serves San Diego and the surrounding communities to the north of the city. Its electricians provide lighting installation, remodeling work and repairs to residential and commercial spaces. Whether your goals are home improvement or prevention of potential safety risks, Northern’s professionals promise to handle the work with professionalism and confidence. Their labor includes a five-year warranty. The owner of McDarby Electric is a licensed electrical contractor in San Diego with 20 years of experience. They company is available for residential and commercial projects involving remodeling, lighting, circuit breakers, panel upgrades, ceiling fan installation, and more. It also provides emergency service and repair work. The San Diego electricians at Rhew Contracting address commercial and residential electrical needs with 18 years of experience. They operate in throughout San Diego county and are fully licensed and insured. Its specialized services include audio/video home entertainment systems, LED lighting and home automation. Rhew is an A+ Better Business Bureau company and a member of the Department Of Consumer Affairs Contractors State License Board. Rhino Power Electric Inc. serves all of San Diego country with electrical repairs, construction work, and installations. Rhino also has a 24-hour service technicians for emergency work. It’s a licensed, family owned business that was opened in 1984. Its family-oriented business model includes a client base that’s been built off personal referrals. RK Electric in San Diego is owned by a lifelong San Diegan. It’s skilled in residential and commercial electrical work including remodels, service panel upgrades, lighting, and repairs. They company specializes in designing “smart homes” with automated lighting, shades, HVAC controls, and more. In all of their work, RK’s professionals are passionate about reducing their customers energy use and cost. Family owned and operated T.C.D. Electric & Lighting Services has been serving residents and businesses in greater San Diego for more than 30 years. The company provides 24-hour emergency and same-day service. T.C.D. is skilled in standard electrical repairs, installations, and wiring, but also luxury home items like home theater systems and hot tubs. Now in its third generation of service, Walker’s Electric is a group of San Diego electricians. For 30 years the company has worked on electrical emergencies and pre-planned projects for homes and businesses. These electricians are comfortable working with pre-existing structures or new construction for wiring, lighting design, and more. They also specialize in solar technology installation. Opened in 1995, Zed Electric primarily serves pre-existing residences in the San Diego area, however it also has experience working with new construction and businesses. Zed’s large staff of licensed technicians offer wiring, outlet replacement and installation, circuit breaker replacement and installation, and interior and exterior lighting. The company is also available for repair work.